Pescador 13.0 船艙寬闊，無論是作雙人艇或單人艇，都能同樣表現出色！規格長度:13'/ 396 cm 闊度:34" / 86 cm船重:69lbs. 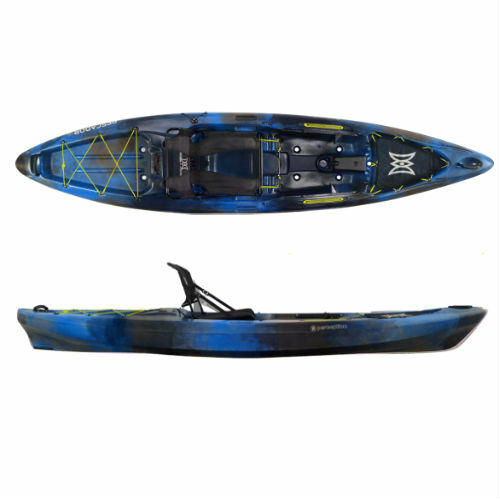 / 31 kg 甲..
Sound 10.5 – Feature rich recreational fishing kayakThe best value in sit-inside kayak fishing for l..
Big Performance. Small Footprint.The award-winning design of the A.T.A.K. 140 is now available in a .. Taking the Kayak Fishing World by StormFeaturing an open design that can be customized to meet the d..
Paddle. Pedal. Power.Introducing the Radar series – Wilderness Systems’ first tri-powered kayak with..